Here is a list of links to some of our community members who enrich the lives of our furry and feathered friends. Berkshire Humane Society (BHS) is a private, non-profit organization, not affiliated with the Massachusetts Society for the Prevention of Cruelty to Animals (MSPCA) or any other animal welfare group. It is an open-admission animal shelter, receiving no public funds from local, state, or federal sources. BHS also provides numerous services and programs to people as well as their animals. The Eleanor Sonsini Animal Shelter, Pittsfield’s municipal shelter, is managed by Friends of Eleanor Sonsini Animal Shelter, Inc., a non-profit, 501(c)(3) public charity. They are dedicated to re-uniting stray animals from Pittsfield with their owners, providing shelter and veterinary care for animals in need, and finding loving homes for adoptable, homeless animals. Alden Beane provides dogs and their owners supportive, instructive, and preventative care in the comfort of their own homes. The Canine Aquatic Gym is located in the heart of Great Barrington, is 10′ X 18′, and heated to 89 degrees, with jets for resistance. Therapeutic swims are one-on-one sessions with Alden, with bodywork performed in the water. Located south of the town center of Great Barrington, you'll find very carefully selected kibbled and canned foods, along with supplies, supplements, medicinals, and nutritious and natural treats and chews, raw diets, raw diet supplements, and freeze-dried and dehydrated foods. Their website is currently under construction, so please call 413-528-4940 with questions. 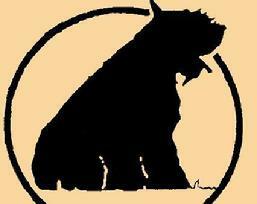 Pawsh Buddies – Hip, Happy, and Healthy Pets is a local, independently owned pet store. They carry a large variety of quality, all natural foods, treats, chews, frozen raw diets, everyday essential supplies, stylish accessories, unique toys and gifts for cats and dogs. They also provide one-on-one consultations and encourage customers to take a holistic approach to nutrition.